Bringing the very best hair styling techniques and trends to our clients from our full service salon and our fantastic team. Whether you decide to have an up-do, or wear it curly, after the dress it’s the next biggest decision. We can create your perfect style to complete your look and make you feel more beautiful than ever on your special day. 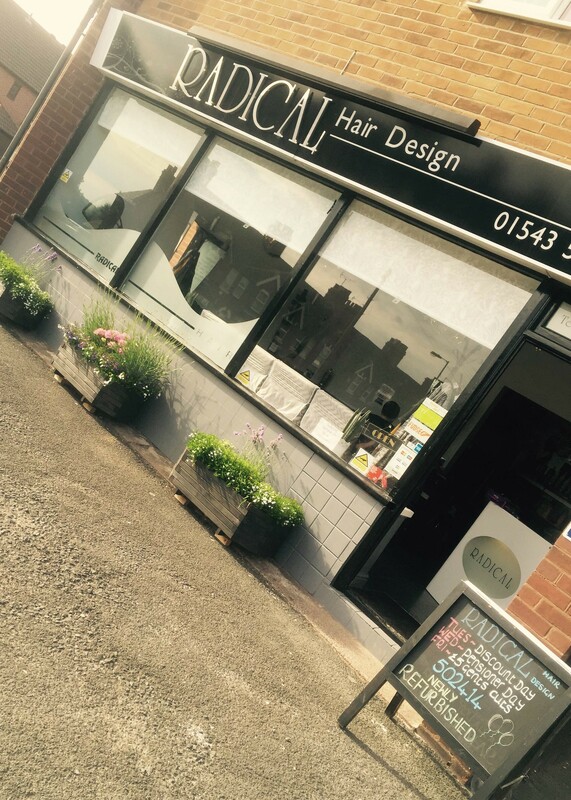 With over 25 years in the hair and beauty industry, our team have grown from strength to strength, providing a quality service to our valued and loyal clients, we’ve built a reputable salon in the heart of Cannock. At Radical, our talented team of professionals will leave you feeling relaxed and at ease, knowing you’re in highly skilled hands. Our wide range of services means we can meet and exceed all our clients’ needs and expectations. We’re a unisex salon and also offer walk-in appointments. Please call the salon on 01543 502414 to book your appointment; we look forward to seeing you! Welcoming and friendly hairdressers. Feel as if I have known the ladies for years, but only moved to here 3 months ago. They are brilliant hair stylists, I go home feeling like a new woman. Copyright 2017 by Radical Hair Design.